Trent Alexander-Arnold and Georginio Wijnaldum are fit for Liverpool's trip to Chelsea on Saturday, but Virgil van Dijk remains a doubt. All three players missed the Reds' midweek Carabao Cup exit to Maurizio Sarri's side, but Alexander-Arnold and Wijnaldum have recovered from illness and a knock respectively to be available for the Premier League fixture at Stamford Bridge. Van Dijk, though, has not yet resumed team training after exacerbating a rib issue during last weekend's 3-0 victory over Southampton. "Trent trained yesterday completely normal. It was not a knock, Trent was a bit ill, but yesterday that looked pretty good. Virgil, we have to wait. He didn’t train with the team so far but I can’t say anything more about that. Gini trained as well, so all good," Jürgen Klopp said on Friday. When questioned further about the possible absence of Van Dijk, whose imperious form helped Liverpool reel off seven successive wins at the start of the season, the boss chose to highlight the qualities of the alternatives at his disposal, as well of those of the Dutchman. Klopp continued: "Virgil is a world-class player, there is no doubt about that, and if you miss a world-class player it is not cool. But Dejan Lovren made his first appearance after I would say around 10 weeks [on Wednesday]. "Most of that time he was that injured that he couldn’t even think about training because when you have something in that part of your body you cannot do fitness, nothing. And after that long period, he played an outstanding game. "Joel Matip, two games in a row, played fantastic. Both full-backs [Alberto Moreno and Nathaniel Clyne] didn’t play in the season so far, so we all get judged constantly but for the boys it’s much more important what I think about their performance than what you think about their performance. I can imagine people say ‘thank God all the others come back’, but these boys did a really good job. "So, if Virgil is fit and can play then he will play, but if not then obviously we have options and that’s really good. 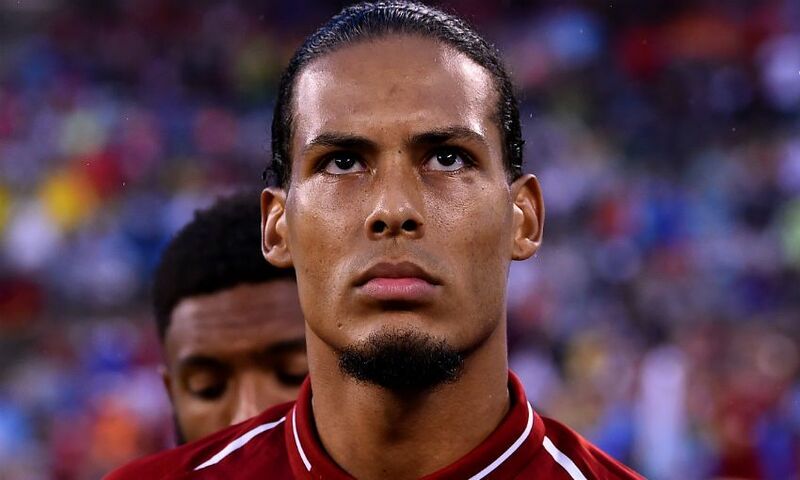 His [Van Dijk’s] impact is always obvious, but we could play football before Virgil van Dijk and we can play without Virgil, thank God. "But I prefer that he is fit and available and I can make decisions, if he needs a rest or not in one of the other games. For the last game he was not available but now we will see for tomorrow."